Line a baking sheet with aluminum foil and lightly grease with cooking spray. Place the flour, cayenne pepper, garlic powder, and salt into a resealable plastic bag, and shake to mix. Add the chicken wings, seal, and toss until well coated with the flour mixture. 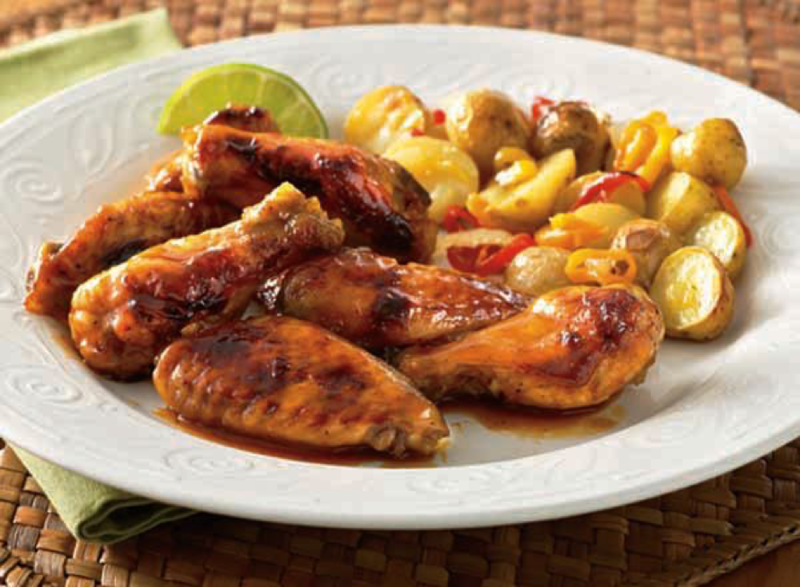 Place the wings onto the prepared baking sheet, and place into the refrigerator. Refrigerate at least one hour. Whisk together the melted butter and Pickapeppa Hot Mango Saucein a small bowl. Dip the wings into the butter mixture, and place back on the baking sheet. Bake in the preheated oven until the chicken is no longer pink in the center, and crispy on the outside, about 45 minutes. Turn the wings over halfway during cooking so they cook evenly.